Mayor James Fouts to officially kicked off the Holiday Season in Warren. Mayor James Fouts officially kicks off the Holiday season in Warren. The City of Warren officially kicked-off the holiday season with its annual tree lighting ceremony celebration event at Warren City Square. Warren Mayor James Fouts will speak about the need to “help the needy” at this time of the year and would like to again encourage everyone in Warren to do the same in an effort to make as many people as possible have a truly Merry Christmas. The Holiday Tree lighting celebration will feature a number of attractions for Warren residents including Free Ice Skating and Live performances by Warren Santa Band and the Warren Community Chorus. A mini parade led by the Cousino Bands, and a Petting Zoo with Live Reindeer. Photos with Santa and Horse Drawn Wagon Rides will be complemented by an Ornament Give-a-way and Hot Chocolate with marshmallow Roasting. 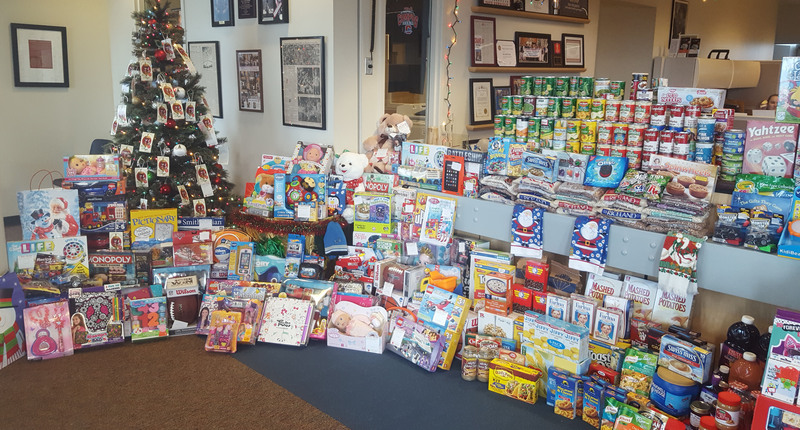 In that spirit, The Mayor’s office is continuing to collect for A Salvation Army Tree Toy Drive for Needy Children located in the Mayor’s office. Donations are welcome and encouraged. ← Mayor James Fouts is excited about the first real snow fall this season!